Use a toothbrush with soft bristles and a small strip of fluoride toothpaste. When you brush your teeth, move the brush in small, circular motions to reach food particles that may be under your gum line. Hold the toothbrush at an angle to the gum and brush slowly and carefully, covering all areas between teeth and the surface of each tooth. It will take you several minutes to thoroughly brush your teeth. 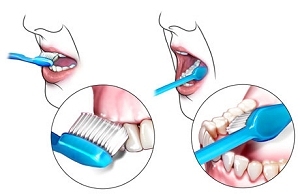 Brush the outside, inside and chewing surface of your entire front and back teeth. Brush your tongue and the roof of your mouth. As soon as the bristles start to wear down or fray, replace your toothbrush every 3 months. Do not swallow toothpaste. 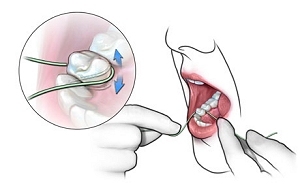 It is important to carefully floss and brush daily for optimal oral hygiene. To get the maximum benefit from your fluoride toothpaste – spit the excess toothpaste out after brushing but do not rinse.